The 2019 OSAP Annual Conference is the premier infection control and patient safety education and networking event in dentistry. This action-packed conference will deliver the latest updates on evolving guidance and emerging infection prevention and safety issues. You can customize your experience at OSAP 2019 through multiple topic tracks. The World Workshop on Oral Health and Disease in AIDS have been held over the last 30 years and have proved to be invaluable in that they enable clinicians and scientists from more than 30 countries working in the field to provide excellent opportunity to meet experts, exchange ideas and information, strengthen and expand the academic collaboration on an interpersonal level. 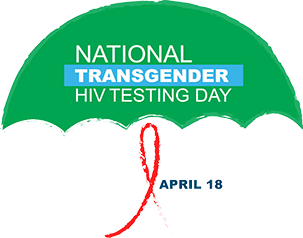 April 18 is National Transgender HIV Testing Day (NTHTD), an observance designed to recognize the importance of routine HIV testing, status awareness and continued focus on HIV prevention and treatment efforts among transgender people. The observance is organized by the Center of Excellence for Transgender Health. HIV Oral Disease is now available FREE APP for IOS, Android, and Windows phones. Materials include recognition and management of common oral diseases seen in PLWH. Also included are Key Facts important to providing dental care for PLWH. This effort was the results of a combination resources from HIVdent and the Mountain Plains AIDS Education and Training Center. The primary mechanism by which HIVdent initially intends to accomplish its mission is via this web site. Inside, not only will you find several sections on the oral manifestations of HIV disease and a large picture gallery, but information on infection control, post-exposure protocols, pediatric/adolescent care, medications, funding and other resources. Through an easily accessible e-mail system, health care professionals and consumers alike are able to communicate directly with our Faculty, some of the foremost international experts in these fields. � Copyright 1996 - 2018 HIVdent.org. All Rights Reserved.